On arrival at the access road to the car park, continue straight ahead to the car park. Proceed to the vehicle drop-off area in front of the Customer Reception. The parking attendant will greet you and present you with a return card, featuring your vehicle identification. The attendant will assist in loading your luggage onto the shuttle bus and will park your vehicle for you. Your shuttle will depart as quickly as possible, and they run every 20 minutes. Special Note: While the journey time to the Terminal is typically 3-4 minutes, please allow extra time if travelling during the rush hour. After you have cleared customs, please call the car park to request collection. The number will be provided on your confirmation email. The shuttle will meet you inside the Passenger Car Drop off area. 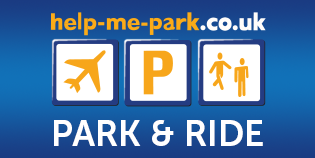 All the shuttles are easily identified by the Luton Park & Ride logo.